During Apple’s announcement earlier this month of new products, there was also something for users who are happy with their old devices: A new version of the company’s operating system for phones and tablets, iOS 11. However, one handy feature of the new operating system — a menu that lets users quickly access certain functions at any time by swiping up — doesn’t actually work the way it appears to. You can see an enlarged version of this menu at the top of this post. The blue buttons with WiFi and Bluetooth symbols look like they toggle those functions on and off, don’t they? They did in previous versions of iOS. Now, they do not. We learned from Motherboard that security researchers have already discovered that all they do is disconnect you from networks and accessories that you’re connected to quickly, but they don’t actually turn off Bluetooth and WiFi. What, exactly, is this feature for? To conserve battery power and for security reasons, it’s a good idea to turn WiFi and Bluetooth off if you aren’t actually using them, and this menu would be a quick and handy way to do that if it actually worked. If you’re one of those people who actually reads the documentation before you jump in and play with a new operating system, you would know that Apple did this intentionally. Apple says that this is so users can keep using certain accessories and features, all of which happen to be accessories that Apple makes, or services that let users share files, tasks, and media between multiple Apple devices. Here’s where you can turn them off indefinitely, and for real. The site lists them: AirDrop, AirPlay, Apple Pencil, Apple Watch, Continuity features, like Handoff and Instant Hotspot, and Location Services. Oh, and no matter what, security researchers have also found that if you turn off Bluetooth and WiFi using the Control Center (that menu you get when you swipe up) they will turn back on at 5 A.M. Why? No one knows, but this is by design. Similarly, the WiFi button will re-activate in the Control Center if you get up and walk, drive, or bike somewhere else. 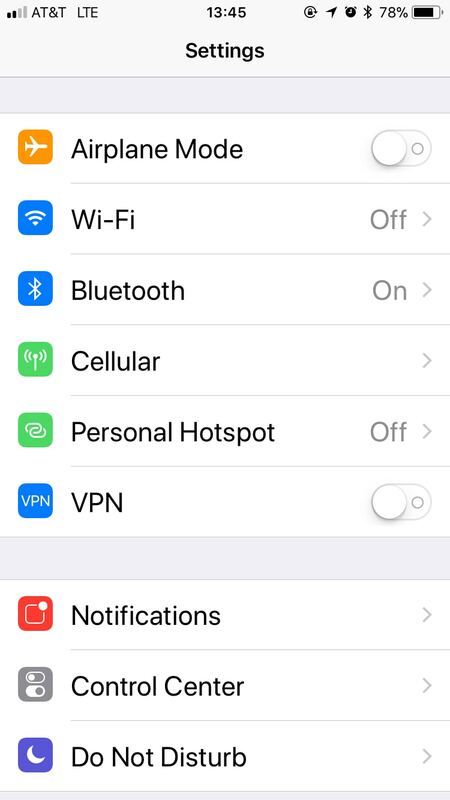 If you want to actually turn WiFi and Bluetooth off and keep them off, you’ll have to go through your device’s Settings app and switch them off. It’s not as simple as swiping up from the lock screen, but it does actually toggle the wireless technologies off indefinitely.